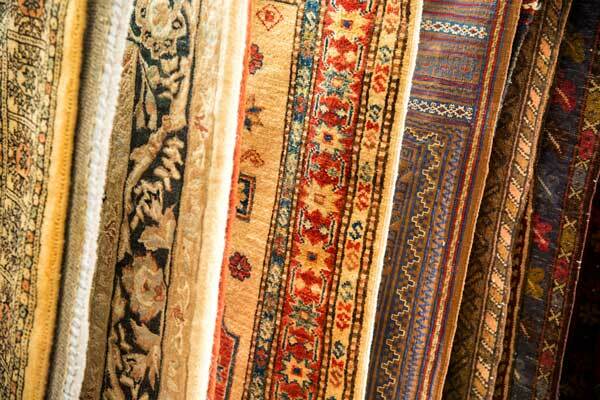 In our rug department you will find a large selection of the finest hand knotted wool rugs. 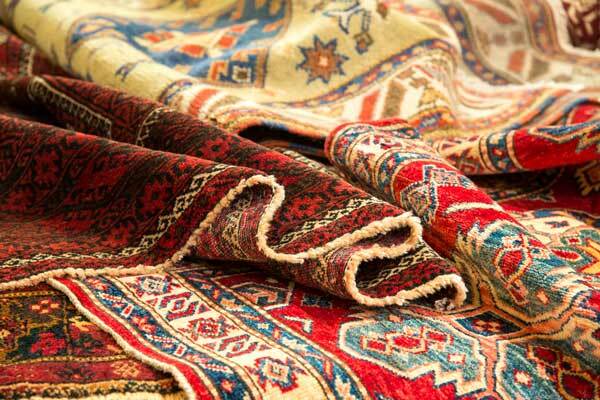 From simple kilims to exotic carpets based on ancient designs, each piece is unique and made by the traditional methods used over the centuries. Our rugs are sourced from Iran, Pakistan and Afghanistan where local wool is washed and spun into yarn, vegetable dyes are used to achieve the beautiful colours seen in these carpets. Then the painstaking work can begin – each knot individually hand tied on a loom, often in the weavers home or small workshop. Depending on the size of the carpet and complexity of the design some pieces will take months to make – truly a modern day work of art. 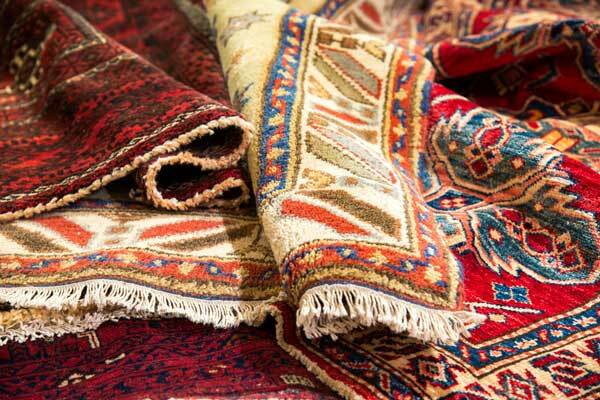 We have Aryan and Kazak rugs from Afghanistan, Shiraz, Hammadan, Quashqai, Gabbeh and Zeigler rugs from Iran, plus Bokhara and Chobi rugs from Pakistan. 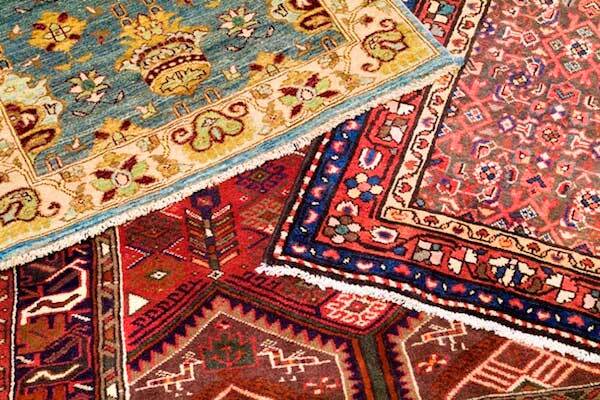 Our stock of rugs is constantly changing so please call in to see what we have. Sizes vary from tiny little ones just 2′ x 1′ up to big room size pieces. These rugs are not only beautiful but very practical and hardwearing and make a perfect addition to a modern home.